In addition to downloading the report, you may log back into the survey platform and now access your customized Best Practices Report Card* which scores your responses against best practices and provides communications recommendations in five key areas to help you improve where necessary. *You must complete 50 percent of the survey to generate enough data for the custom report card. 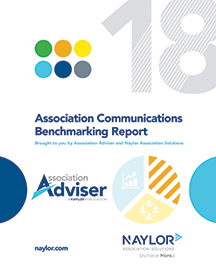 Comments on "2018 Association Communications Benchmarking Report is Now Available"